Good morning, everyone out there in internet world! 😉 I hope you’re having an awesome weekend. Today will be a quick post, so let’s get to it! 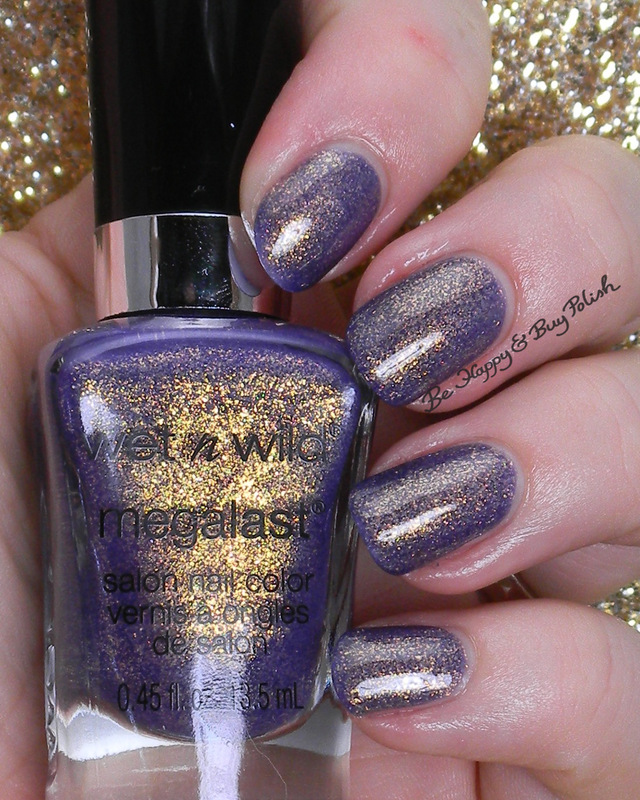 Wet n Wild Happy Hour Hop is a nail polish from their Halloween display that I picked up. This is a limited edition polish, along with 3 (I think?) other LE polishes; I wasn’t feeling particularly moved by the other polishes, so I only bought this one. Which way do you like it better? I’m having a hard time deciding! I do love the way it glows with the gold and then a flash of purple. 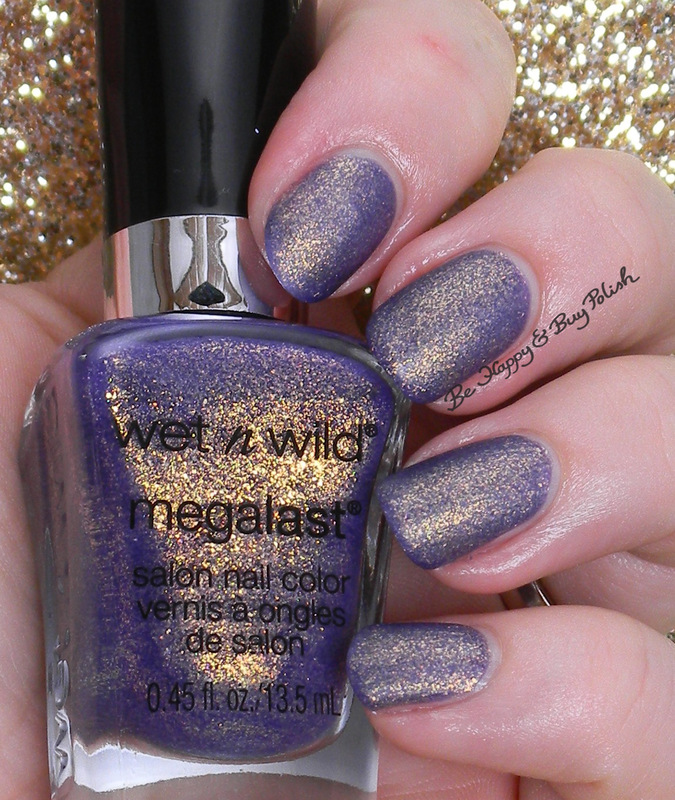 Have you bought any polishes from the Wet n Wild Halloween display? Well, I’m off to have a busy Sunday, unfortunately. I much prefer to have lazy Sundays, reading the paper and drinking coffee…maybe having a doughnut or two. How do you like to spend your Sundays? This is pretty! Love the intense golden shimmer in it. Thanks Lisa! It’s an awesome shimmer! LOVE this! I feel like I overlook WnW sometimes but I must seek this one! I overlook them too because sometimes their brushes are insanely huge. LOL! Lazy mornings are a must! I bought the Halloween polishes, and I love this one. With all that gorgeous gold in there, I like it better shiny. Did you like the other Halloween polishes as well? I passed on them, but I don’t want to have missed something good! Picked this up last night, even though I had nagging feeling it looked familiar. Back at home I find exact same color but called Amethyst Rock (or Rocks, can’t remember). Wish they would not do the renames!